An NHS consultant has been banned from driving after she was caught looking at her phone for eight seconds behind the wheel. Pandora Vesely, 55, was on her way to watch one of her daughters play sport in September last year when she was clocked by a police car. The ear nose and throat specialist was travelling at 50mph but took her eyes off the road for eight seconds to consult her smartphone sat nav app. A court heard she would have gone 164 yards without looking at the road in front of her. She claimed her patients would suffer if she was banned from driving, but after accumulating nine points on her licence already, she was banned from the roads for six months. 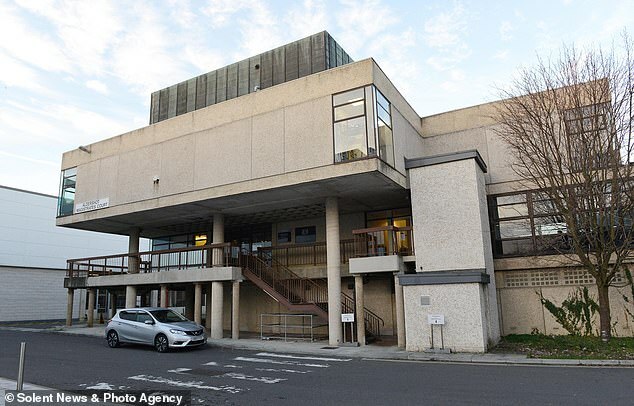 Aldershot Magistrates Court heard Vesely, who lives in a £1.8million home in Weybridge, Surrey, was driving at 50mph on a dual carriageway at 10.50am on September 9 last year when she drove past a police car. Officers spotted her holding up her phone to look at a ‘map app’ for eight seconds, a court heard. Paul Matcham, prosecuting, said: ‘A driver of a Volkswagen Passat is seen in lane one of two, holding a phone in the right hand with the screen element being used as a sat nav. ‘This continues for about eight seconds, upon seeing police, dropping her phone out of sight. Previously a fellow at Great Ormond Street Hospital, the court heard Vesely, who works at an NHS practice and her own private practice, would cause extreme hardship to patients and colleagues if she were to lose her licence. Married to plastic surgeon Mr Martin Vesely, the mother-of-three travels between eight hospitals in her silver Volkswagen Passat, visiting more than one in a day, and often has to be on call. Mitigating, Sarah Taylor said a disqualification from driving would cause ‘exceptional hardship’ to patients at the hospitals where Vesely, who had nine points already on her licence at the time of the incident, works. She said: ‘[Ms Vaseley] was going to see her child competing in a sports match, she was on an unfamiliar road. ‘She has since purchased the correct holder to hold the phone [in the car] in these circumstances. ‘Eight seconds does seem like an extremely long time for someone to have not looked at the road for. ‘She does accept she had her phone in her hand for that period but was keeping an eye on the road. ‘She is a consultant ear nose and throat surgeon, she has been for 15 years. Her work is mixed between the NHS and a private practice. ‘Losing her licence would have a significant impact on those practices, on her colleagues and patients. ‘She has a full diary of upcoming treatments. The court heard Vesely is often on call and needs to get to post-surgery patients in a hurry for treatment if there are ever any serious complications. She added alongside treatments, the doctor regularly took her three children to and from after school activities, with her youngest daughter, 14, elected to ski for England. She said: ‘They have a great deal of extra-curricular commitments for which they need her to drive them to take part. 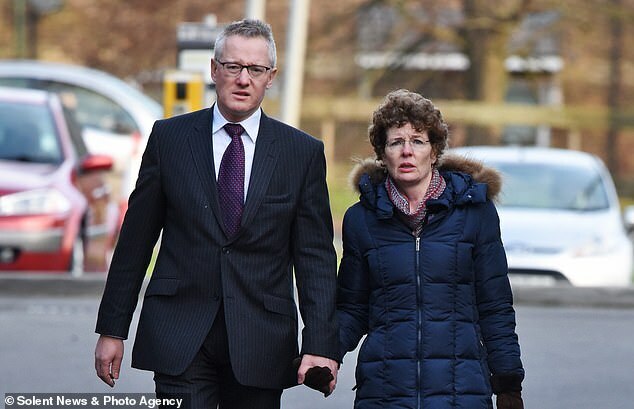 He sentenced Vesely to a six month driving ban, ordering her to pay costs of £811. She admitted one count of being a driver not in a position to have proper control of a vehicle.